Sincere thanks for inviting Jonathan, Stuart and myself to your superb concert yesterday -wow! Jonathan was most impressed as he would have told you, and he was able to speak with many of the choristers. Keep up the good work and best wishes for future ventures. 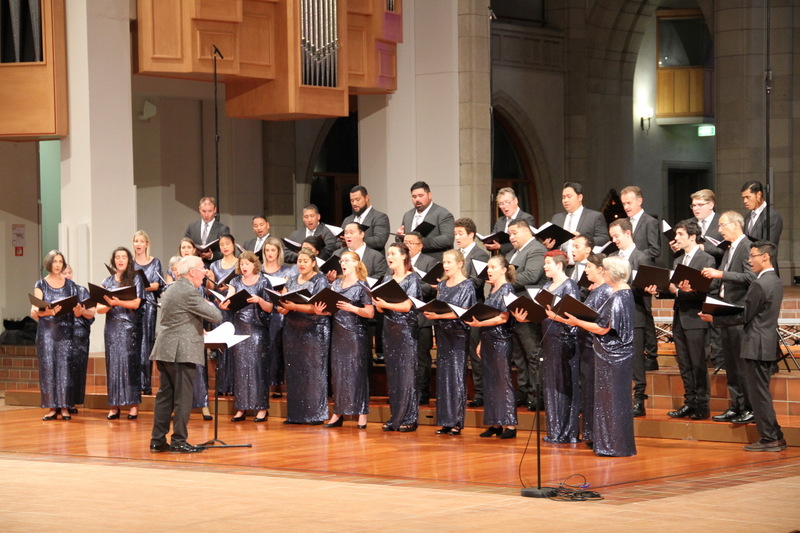 "There is little doubt that The Graduate Choir NZ is a unique group with a beautifully rich and varied sound as well as its exciting repertoire." "The Graduate Choir New Zealand conducted by Terence Maskell, surprised and wowed the audience at the recent Hailwood show at NZ Fashion Week. Pulling the curtains revealed the most unexpected sight at a catwalk show, of the choir resplendent in their Hailwood designed gowns and uniforms. Their music accompanying the fabulous Hailwood collection created one of the most emotional moments of any fashion week I have seen, visibly moving some of the audience to tears. It was pure magic." "Thanks for another wonderful concert last night at the Event Centre. My wife and I thoroughly enjoyed the evening. Great idea to combine with other performers. The Graduate Choir were absolutely stunning and what a magnificent repertoire. Looking forward to more of your concerts. Thank you"